After three confirmed kills, John Stevenson, a Federal Wolf Biologist, installed fox lights near Birdseye’s house and a fladry fence (hot fence with red flags) around his property to deter the pack. Birdseye has a Federal grazing permit and in early summer he turned his 200 head out, at which point, Stevenson removed the deterring tactics. By the end of summer, the wolves had killed again. “The Rogue pack runs in a 10×15 mile radius and Ted’s ranch is only 3 miles from this pack’s den,” said Stevenson. The Rogue pack is not collared or tracked. An issue Stevenson said, that has gone on unresolved. 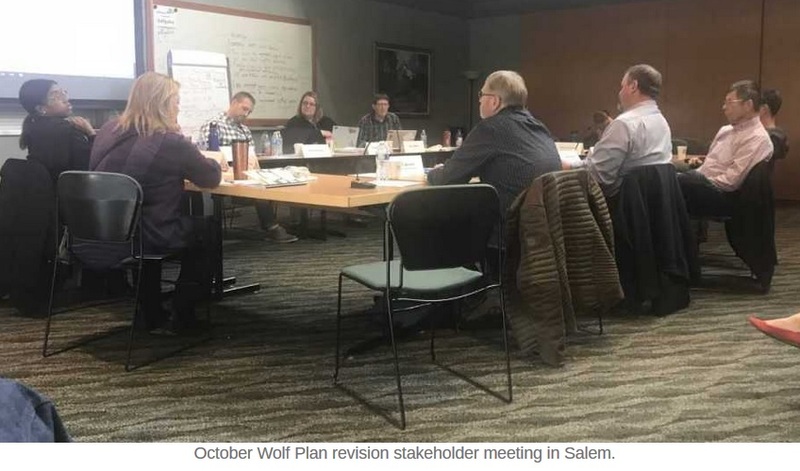 The Oregon Cattlemen’s Association is part of monthly stakeholder meetings for the five-year revision of the Oregon Wolf Plan; meetings now stretching into the eighth year of that revision. Todd Nash, OCA’s Wolf Committee Chair is standing firm on three main points: 1) the collaring of all wolves for tracking; 2) a regional distribution of wolves instead of large numbers clustered in a few counties; and 3) local Sherriff’s authority to make depredation calls instead of waiting hours or days for Wildlife Services and ODFW. The stakeholder meetings, facilitated by the governor’s office include OCA, ODFW, Defenders of Wildlife, Oregon Wild, OFB, Oregon Hunter’s Association, and Rocky Mountain Elk. There continues to be little consensus on the revision. Nash says Ted Birdseye should have the right to use lethal action after he had three confirmed kills in a 30-day period. “We dealt with a problem in Wallowa county involving 50 confirmed kills before they took lethal action. I hope that Ted doesn’t have to face similar circumstances in Southern Oregon. Ted is a rancher with extensive knowledge on the wolves and he’s done everything in his power to control the pack non-lethally,” said Todd Nash. 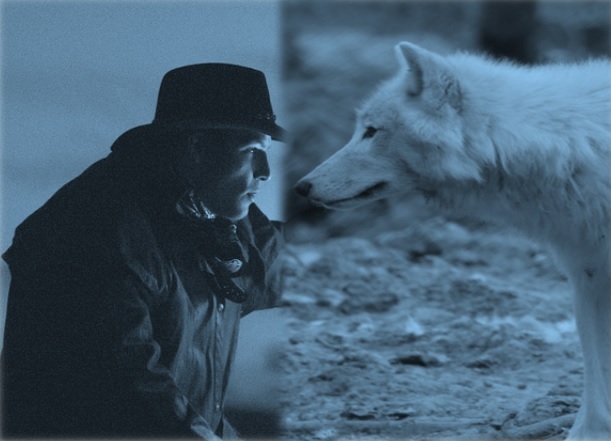 Ted Birdseye admits that he raised a wolf pup for many years and was fascinated by the animal when he was younger, but now he relates them with distress and heartache. “I can’t sleep at night; not only the fox lights, but the dogs start their “business bark” and I know there’s 7 or 8 wolves right outside my door,” said Birdseye who is considering changing his entire operation because of this problem. The stress from the wolves impacts the pregnancy ratings of the cows and the restlessness from the predators decreases the weight and health of the animals. “The ranchers have agreed to tolerate a bar that was made unfairly from the beginning. These are hardworking people who pay taxes, insurance, and permits. They are stewards of the land and wildlife, and still they’re not being protected by their government on this issue,” said Mark Bennett, OFB representative from Baker county while on his way to an October stakeholder meeting in Salem. Ranchers are frustrated because they are not being heard. ODFW claims 80% of depredation calls are not confirmed, which is another reason OCA is fighting for the rights of local authorities to determine depredation. 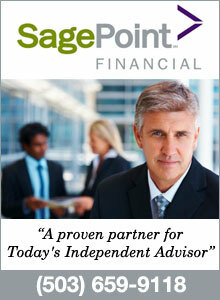 Due to this percentage, many ranchers are simply not calling in attacks. Jerome Rosa, Executive Director for OCA, says it’s crucial for ranchers to report every depredation. “Some stakeholders believe the lack of reporting means the problem is going away, but the ranchers are frustrated at how the calls are being handled, so they’ve stopped reporting,” said Rosa. Like Birdseye’s experience, ranchers across the state are distraught by the impact of wolves on their livelihoods. Since the attack of his dog, Birdseye has been tirelessly calling Federal and State offices, Defenders for Wildlife, the State of the Interior office, and the Governor’s office. “If I’m quiet it will be forgotten, but if I make myself heard, they’ll have to acknowledge there’s a problem here,” said Birdseye. As many ranchers know, preaching to the choir will not bring revision change. It’s imperative for individual ranchers, such as Ted Birdseye, to make their story heard to all the stakeholders involved in the revision of the Wolf Plan. 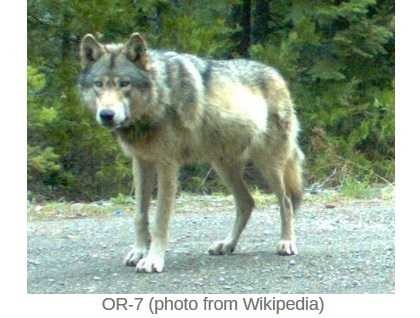 The wolves are here, now the question is how will Oregonians choose to manage them? We know the answer…wolves always win.